In 1993, Congress appropriated funds to establish a nationally coordinated research program for the emerging U.S. canola industry. 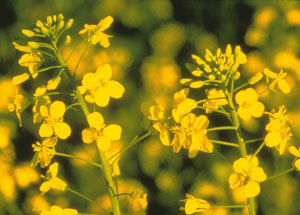 The National Canola Research Program (NCRP) is funded by the U.S. Department of Agriculture's National Institute of Food and Agriculture (formerly the Cooperative State Research, Education, and Extension Service) and includes five U.S. canola-growing regions (North Central, Great Plains, Pacific Northwest, South, and Midwest). Grants are awarded competitively each year. Minnesota, along with North Dakota, South Dakota, and Wisconsin, make up the North Central region which accounts for about 90 percent of canola production in the U.S. Research funding for the region is administered by North Dakota State University. Priority topics are production practices that optimize yield, quality, and profit; blackleg management; insect identification and control; straight-harvesting with the use of desicaants; optimal crop rotations with canola; ways to reduce pod shattering and increase oil yield per acre; fertility efficiency; and best seeding dates for newer hybrids. Beyond crop production, regional research is focused on alternative end uses like developing spring canola lines for optimal biodiesel production and canola oil-based resins for environmentally friendly plastics. New health benefits are also being explored such as if intake of canola oil in place of other fats can reduce breast cancer risk. NCRP Progress Reports can be viewed by clicking here.